Jordan Brand continues to release more colorways of their best Air Jordan numbered series shoes like the Air Jordan 1, which has hit the market once again this March. The Air Jordan 1 Phat Mid is now available in Varsity Red/Cool Grey – White colorway, which looks like the good-old version of the shoe that started it all. The silhouette features a varsity red upper paired with cool grey touches on the sockliner, laces, and outsole of the shoe. 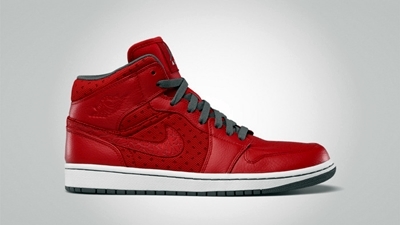 This new edition of the Air Jordan 1 Phat Mid is available for $105. Make sure to check it out!